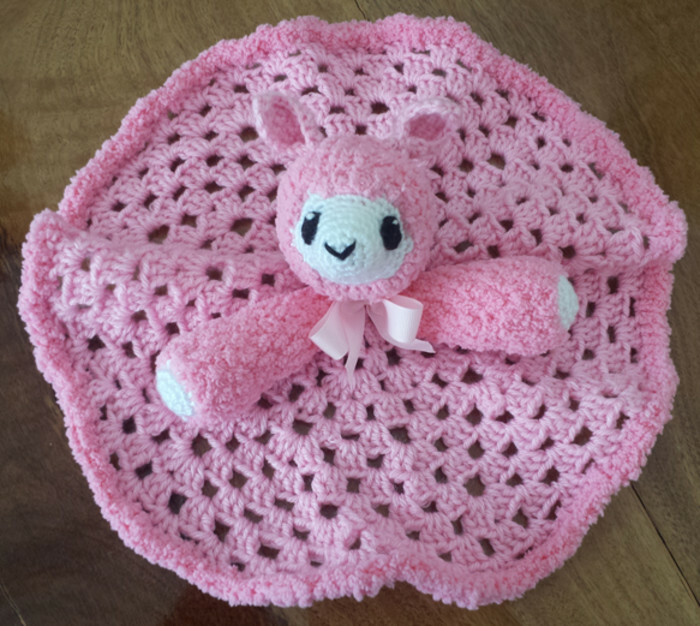 Super soft, this Alpaca Snuggle Blanket is 30cm in diameter and made from premium acrylic and chenille with polyester filling. The edged of the blanket is bordered with chenille yarn matching the head and arms. Cotton crocheted eyes have been stitched on rather than using buttons or plastic eyes for safety. 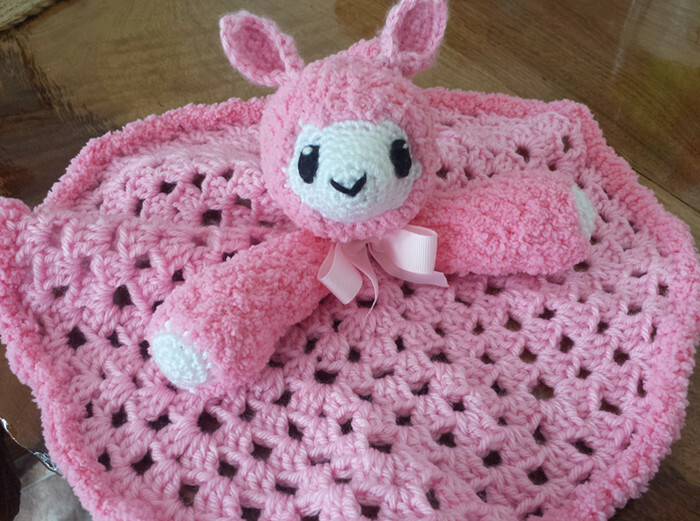 This snuggle blanket can be made in a range of colours including yellow, blue, green and purple. If you are interested in a custom order please email or message us. Custom orders may take up to 2 weeks to produce plus delivery time.